Znapeez! 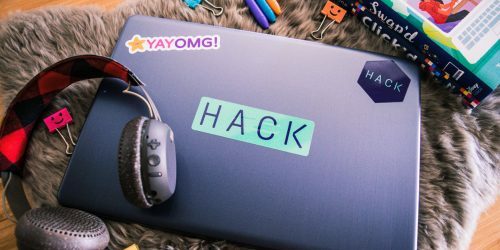 : Our Ultimate Guide to Getting Your Znap On | YAYOMG! 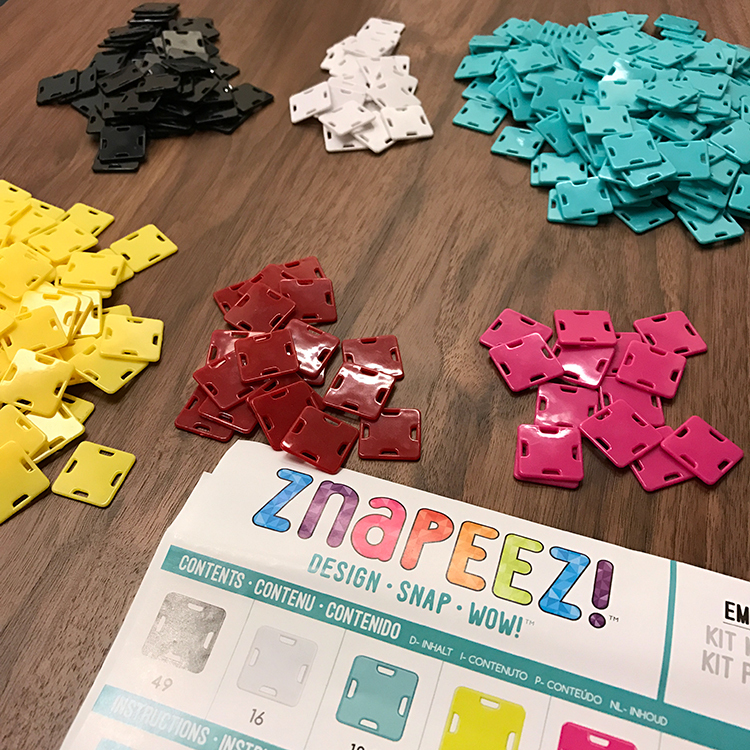 If you’re a kid living in the modern world, you’ve likely heard of Znapeez! Whether you’ve seen a commercial while watching your favorite show or fav’d one of their fabulous Instagram pics, they’ve been pretty much everywhere these days. 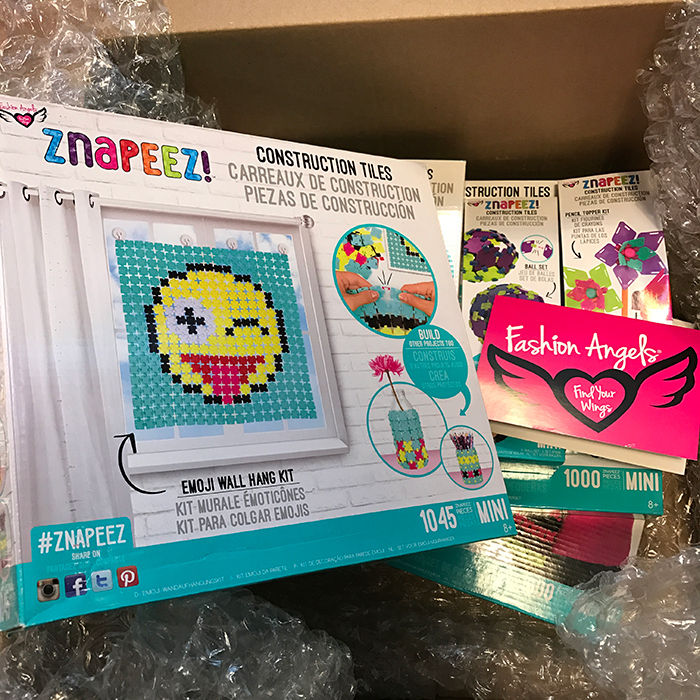 Thanks to our friends at Fashion Angels, we spent the last few days getting our Znap on, trying out all sorts of projects to give you guys an in-depth rundown on what Znapeez! are all about. Conclusion? You’re definitely going to want these on your Christmas list! When a giant box of Znapeez! arrived at our office (complete with handwritten note from the Fashion Angels squad – they’re so classy! ), we were jumping around with glee! Fashion Angels had been teasing these for months on their social media channels and we’d been secretly coveting the Znapeez! hairbow from afar. Just look at this pile of crafty, construct-y goodness! So many colors. So many possibilities. We just couldn’t wait to dive in and get started. First things first for those of you who have no idea what we’re talking about – Znapeez! 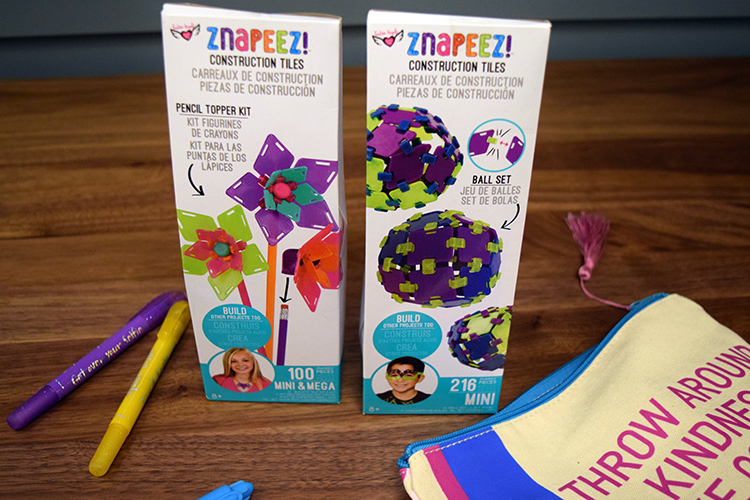 are colorful construction tiles of all different shapes and sizes that you ZNAP (snap) together to build anything you can dream up from doll accessories and wall hangings to basketball hoops and phone pouches. 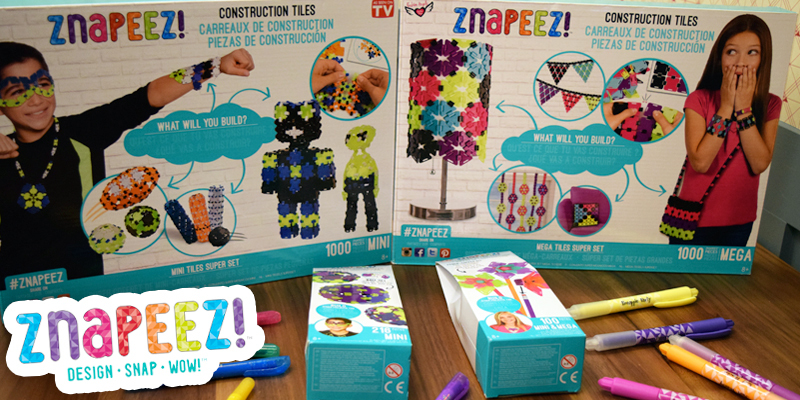 They’re not quite LEGOs and they’re not quite Perler Beads, but playing around with Znapeez! gave us that same “anything is possible” sensation that we get when creating with toys like those. 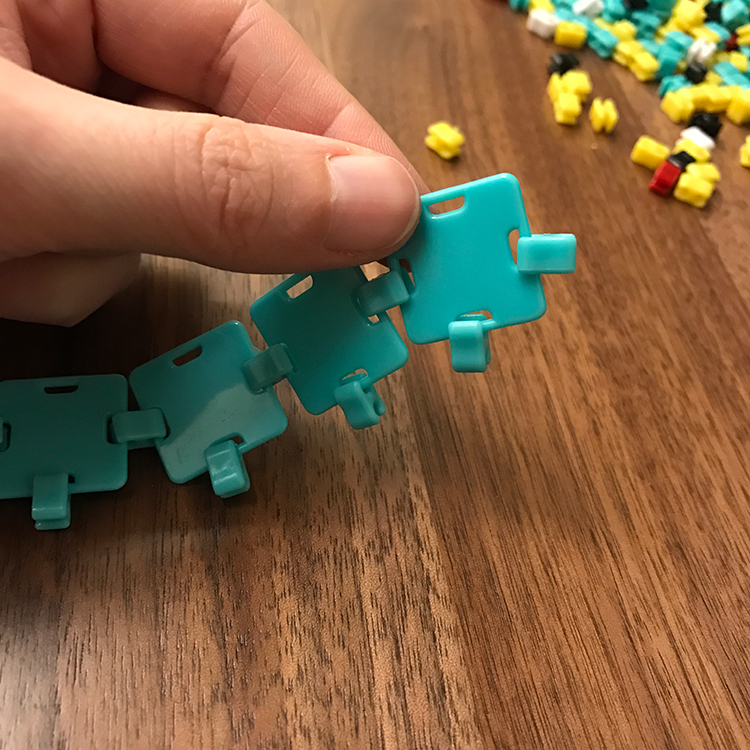 The pieces come in MINI and MEGA sizes and you can use them separately or combine them together to make one totally awesome project. The kits range from smaller sizes of around 100-260 pieces for $7.99 all the way up to the larger kits containing 600-1200 pieces for around $23.99, with lots of different kit sizes and prices in between. No matter which kit you get, you won’t need to dig too deep into your precious cash stash. 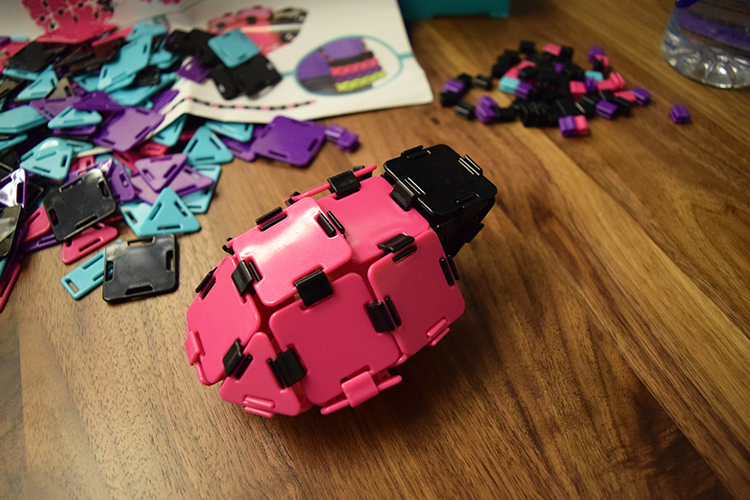 Each kit also gives you multiple suggestions and instructions on what you can create with the pieces inside. One of the best things about Znapeez! is that all of the pieces can be Znapped together with all the other pieces from all the other kits. Bought the flower Pencil Topper kit but now you want the Rainbow Crossbody Bag kit? You can combine them both together to make something doubly fabulous. 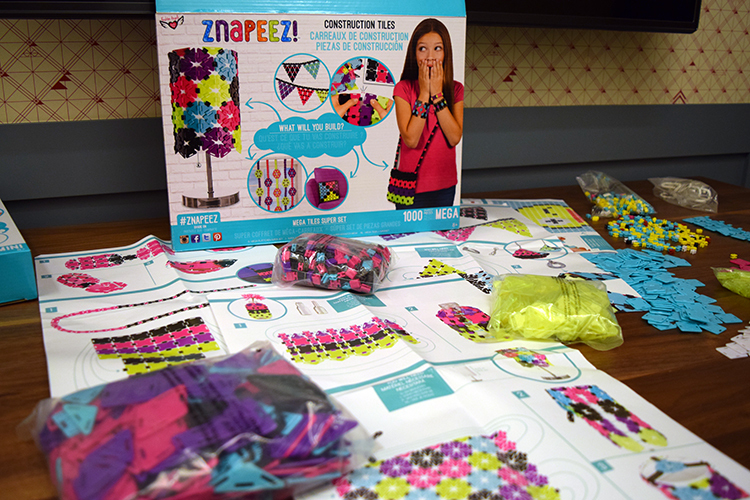 Like other crafty building sets, each Znapeez kit comes with instructions on how to build some pre-designed projects OR you can you build whatever comes to mind at the time. Znapeez! encourage you to tap into your inner creative genius, but are the perfect craft for the not-so-crafty. We’re pretty terrible at getting doodly and our DIY’s never come out quite right – but we were easily able to build every single project we tried. We were overwhelmed with fantastic ideas while working on our Znaps. 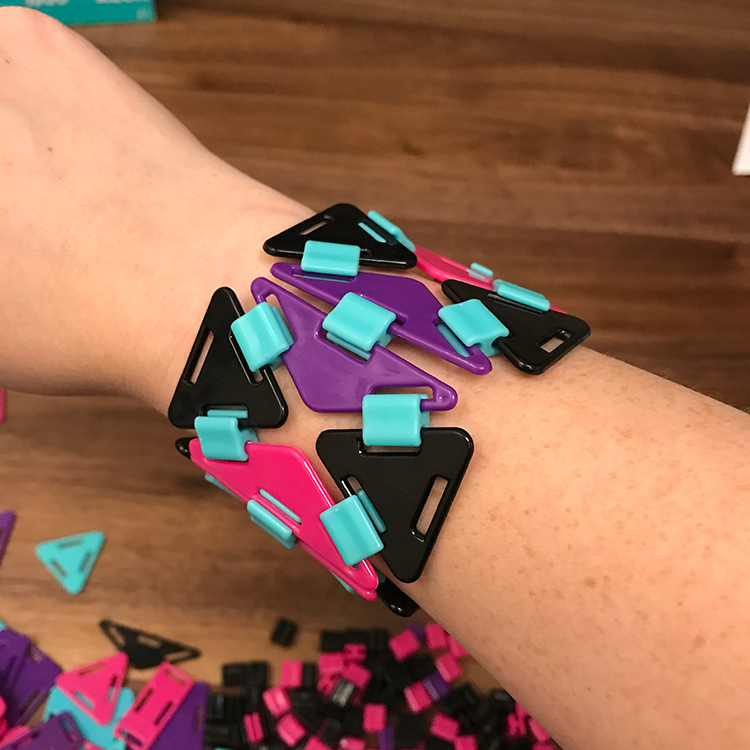 We started with the Emoji Wall Hang, but completing row after row reminded us of a bracelet, so we started working on some awesome wrist cuffs. (Bonus points to Fashion Angels for having Znapeez! 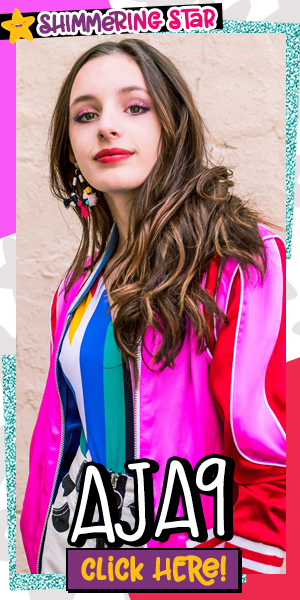 pieces that match the YAYOMG site colors!) Then we realized that we could make a ladybug, so we jumped over to that project. That’s probably our favorite thing we made. It’s just so adorable and it’s all so easy to build. Certain things take longer than others, but every single project is just a matter of snapping pieces together. It’s just so simple. 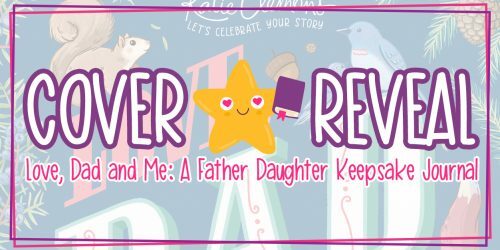 Since Fashion Angels showered us with so many fantastic kits, we decided to share the fun. We’ll be donating our unopened kits to kids in need this holiday season and we’ll be giving away the Pencil Topper kit in the Christmas giveaway we’ll be having on the site soon. Keep checking back for more info on how to win. – Store your similar colored/shaped Znapeez! pieces together in a ziplock bag or tupperware. This makes it easy to find exactly which piece you’re looking for AND makes cleanup really easy. – If you’re following a pre-made project, lay out all your pieces in advance, arranged by color. Then you won’t have to go digging for what you need as you work. – Like a project but don’t like the color choices in the box? 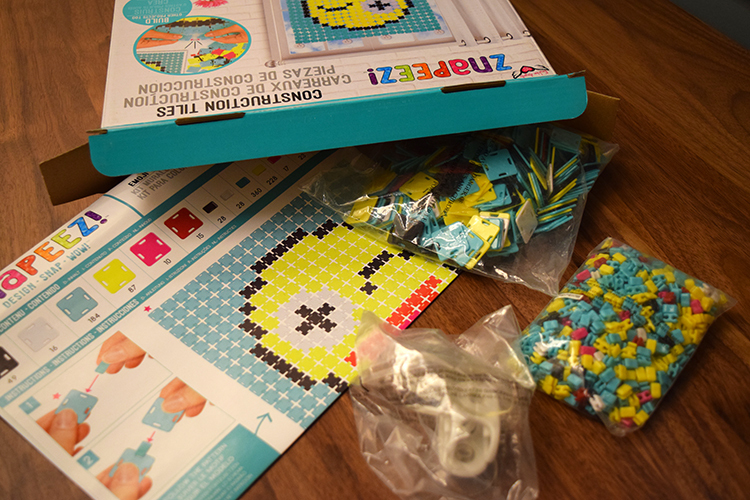 Grab another kit and find different colored pieces to make it your own. – Want to create something of your own but aren’t sure where to start? Browse the Znapeez! Instagram account or hashtag for fun project ideas. – Having trouble snapping two pieces together? Try it from an angle. It really helps. Excited to get your hands on a Znapeez! kit? You’re in luck! Znapeez! 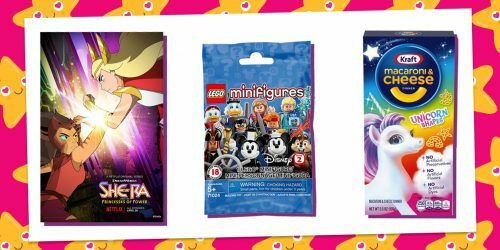 are now available via the Fashion Angels website as well as Amazon, Toys R Us, and many other retailers.